"The music of a racing car is like a symphony. Ahead it is a smooth and subdued whine superimposed on a commotion, not a noise, of a shape parting streamlines fast. As it passes, the full blast of the exhaust strikes, blood vessels throb and the faint whiff of racing oil thrills the senses. "Inside, it is a sensation, the echo of power rattling around the box of the body and a thrust in the back whenever the accelerator is pressed." The car that had inspired this fine prose from Autocar's Geoffrey Howard back on 6 April 1967 was the Alfa Romeo GTA, a Group 2 homologation special. This he watched practising at Silverstone ahead of the Spa 24 Hours (in which the GTA would go on to take class victory over cars including the Lotus Cortina). And it's no surprise that he so admired this pretty sports coupé. The GTA was a creation of Autodelta, Alfa Romeo's motorsport department, led by the knowing eye of Carlo Chiti, who had designed racing Alfas of the 1950s and two championship-winning Formula 1 cars for Ferrari. 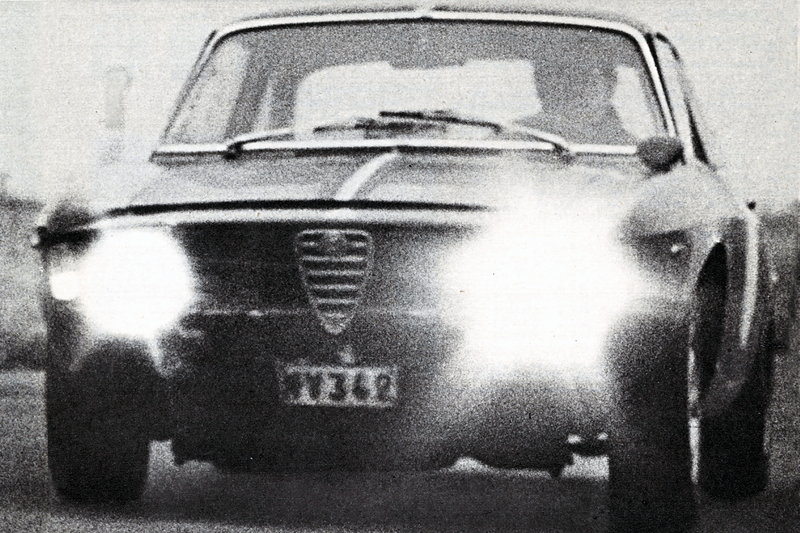 It was the hottest variant of Alfa Romeo's bewilderingly expansive Type 105 model family, being essentially a racing version of the Giulia Sprint GT, itself based on a shortened version of the everyday Giulia saloon's floorpan. Its construction was of a steel monocoque bonded to aluminium, rather than the usual steel, body panels. You see, the 'A' in the GTA's name stood for alleggerita, meaning 'lightened'. Further weight-saving measures included smaller, magnesium alloy wheels, plexiglass rear windows, lightweight interior trim and even different doorhandles. In the engine bay, parts including the camshaft cover, sump, timing cover and clutch housing were made from magnesium alloy. 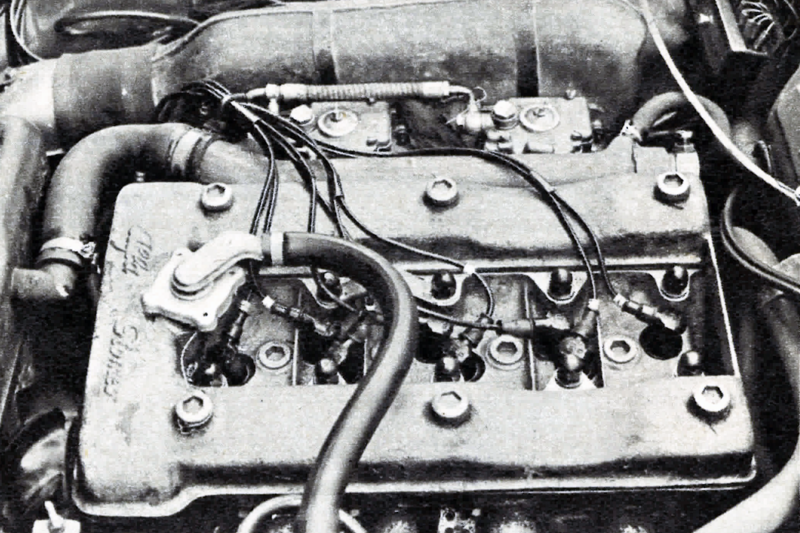 The engine itself was the naturally aspirated 1.6-litre inline four taken as used in the standard Giulia, but upgraded with a new dual-ignition cylinder head, Weber carburettors and a Marelli distributor. This meant it could pump out around 160bhp. Meanwhile, the cogs of the five-speed manual gearbox were closer together, lighter (of course) and quicker-shifting. As for the rest of the mechanicals, it's a fantastic recipe: rear-wheel drive, disc brakes all round and worm-and-roller steering. The suspension (tuned for competition) was independent at the front with coil-sprung wishbones and, at the rear, a live axle with trailing arms, coil springs and telescopic dampers. Each end had an anti-roll bar. Being a racing GTA, Autodelta also fitted a limited-slip differential, oil cooler, special exhaust, modified starter, dynamo, heavy-duty clutch, double roll-over bar inside the roof, modified sports seats and bigger wheel arches to fit the wider radial tyres. In a car weighing a mere 760kg, all of this meant that 0-60mph could be achieved in a fantastic 8.8sec, with a quarter mile coming in 16.7sec and top speed hitting 114mph. Autocar's 1967 test car had a bit of a jumbled history, having been built as a circuit racer but then converted into a rally car, making it "much more docile, pulling well from as low as 2000rpm in fifth gear". We continued: "The clutch is not fierce and can be eased away quite gently. The rally car has a full-length exhaust system rather than the flat megaphone under the driver's door of the racer, so it's not as noisy. But it's just as exciting. "In place of the usual rev counter, a chronometric instrument reading to 10,000rpm had been fitted, complete with red tell-tale needle. "At about 3000, the engine would go flat until 4000, where it would suddenly clear and scream on to a limit of 7500." We took the GTA for a drive on the A50 – "a fast and twisty main road largely through farmland" – where we found that "the grip in the wet was quite astonishing, and even on muddy patches we were able to turn on the power very early in the bends without snaking". We then went to the MIRA test track: "I was away, into the double bend and down the main straight, which is just over half a mile long. Before the next turn, 7500 was showing in fifth and I had to lift off. Then hard on the brakes and heel-and-toe down through fourth to third, lift off, another dab and into second for a nasty tight bend. "Surprisingly, the tail stayed right in-line when I opened up before the apex, and I was away again. "As I came out of a double-left-hander toward the back straight, accelerating hard in fourth, the rev counter showed 7000 (about 95mph) and I was using the full width of the track and getting a bit of twitch on the tail. "And so I went on lapping, feeling more and more at home in the snug bucket seat and enjoying each corner more and more. "Soon, I was having to lift off at 7500 in second all the way through the bottom bend, so I took it in third next time around. That was my undoing, for without the same torque at the rear wheels, the front of the car ran wide and I found myself understeering straight for a barrel. I managed to tweak it around enough to clear, but then I was off and sliding wildly on the gravelly track shoulder. I collected myself and proceeded with more restraint." It was then time for Howard's colleagues to drive, and of watching them, he wrote: "Listening to the exhaust wailing and growling, crackling in the overrun and blasting forth with renewed strength at every gearchange, it took me back to Spa and the excitement of an endurance ordeal." 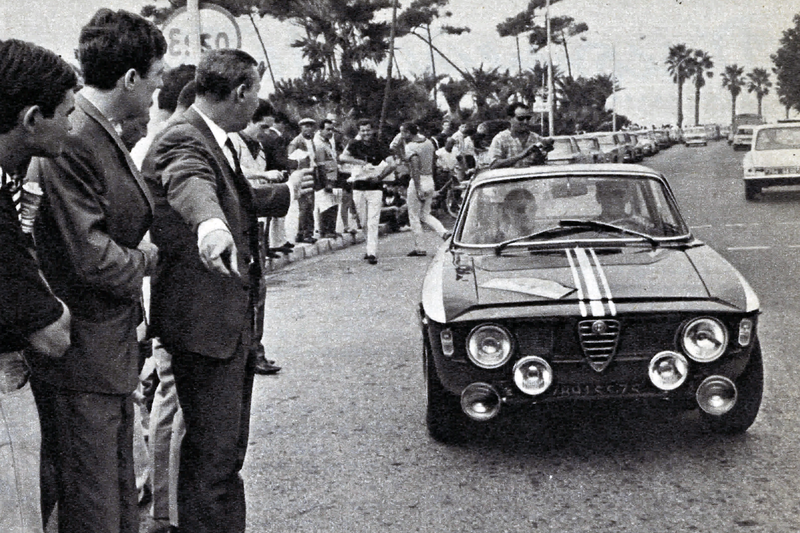 And as for the reliability of a 1960s Alfa Romeo? Well, "the car never missed a beat all day – which, considering it had been on show since last season and had not been in any way attended to since its last outing, was all the more amazing. It had been driven to Olympia from Brussels and, after 10 days on the stand, started on the second turn of the key without even the battery being charged. And we never even looked at the plugs." You could buy the GTA in the UK in its street specification (although very few chose this) for £2898 – getting the race-spec model would have been a considerable extra – whereas the Giulia Sprint GT Veloce 1800 was £1950. The average car in the UK at the time would have cost around £960. Just like the Alfa Romeo Giulia Quadrifoglio of today, then, the GTA was a truly wonderful sports car. "In a car weighing a tiny 760kg, all of this meant that 0-60mph could be achieved in a fantastic 8.8sec, with a quarter mile coming in 16.7sec and top speed hitting 114mph." 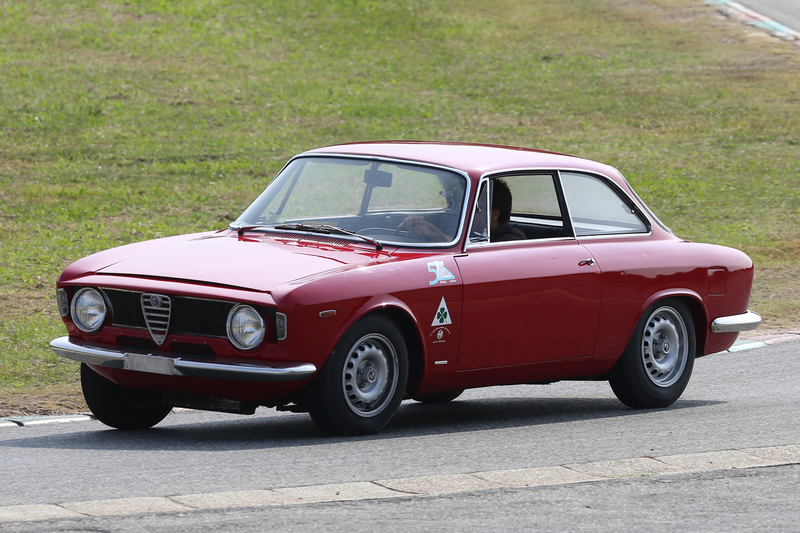 Ahh, the GTA - pure Alfa perfection, a characterful engine, a great spec and so well sorted. Wonderful! @Landie - I think there's some confusion in the article between the Stradale and Corsa versions. They clearly drove the 160bhp Corsa (the Stradale wouldn't rev out to 7500) and correctly quoted its weight of 760kg but when they mention a top speed of c113mph that's for the heavier & less powerful Stradale. Hi Mark,Indeed it was the 160bhp Corsa in the test, but set up for rallying. The reason for the top speed is because: "The needle read 7500rpm, so I tried to respect this limit. Overall gearing is low, for rallying, and a special top gear of 0.86 instead of 0.79 to 1 is one of the Autodelta mods. As a result, we found we had to back off the throttle at about 114mph in fifth to prevent over-revving." If only there was a modern equivalent to this - why can't today's cars be simple, lightweight and elegant. Maybe Alfa Romeo would have more success if it simply modernised its 50 year old designs rather than attempting new ones that buyers don't want? Couldn't agree more: Certain models from the 60's & 70's are so much more appealing than their modern counterparts. Today's cars may be quieter and more comfortable but they've become bloated by all the safety kit, electronics, HVAC and digitally connected whatever. The new Alpine A110 proves it is possible to build a modern car that's lightweight, handles well and looks great, I just wish the interior was a bit more classy. Oh yes please, I very much doubt it will happen but then this is Alfa we are talking about. 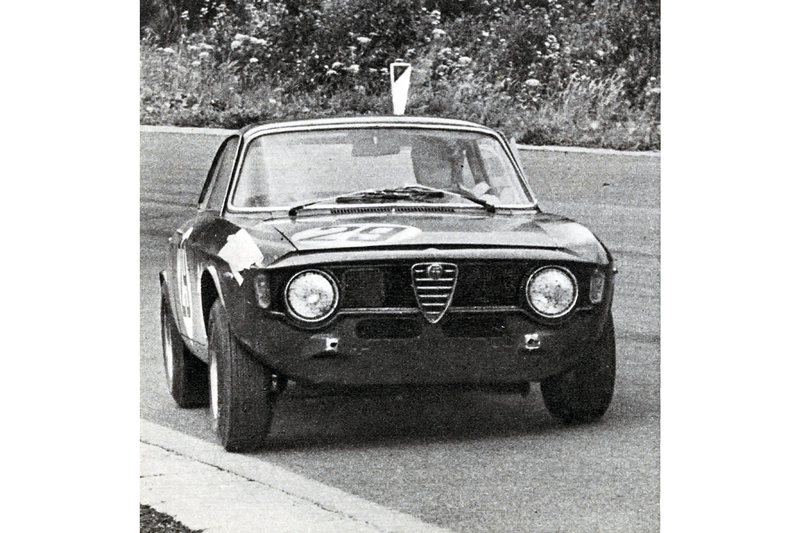 Speaking of 105 series GTA’s come the lottery win I am off to Alfaholics for a GTA-R. Yes they are hardly cheap but several years of judging Mr Banks exquisite 105 series restorations left me with a very very positive impression. You're clearly a connoisseur of fine motors: Alfaholics GTA-R is a lot of money but then it's also a thing of rare lovelyness and (relatively speaking) good value when judged against other re-imagined classics. If I added one to the garage, it would need to have one or two creature comforts, like more traditional seats, no roll-cage and be more of a daily driver - after all, why limit the pleasure just to the track? I don’t believe Alfaholics have made any remotely similar GTA-R’s yet, at least not from what I can tell. I too would go for a road focused build not that I am adverse to the odd track day mind. I think they will even do a sequential flappy paddle box! Not that I would, I had a 1750 Spider for eight joyous years built by Westune to my own spec and that gearbox was a peach. Only a type R rivalled it in my experience. As I get older I seem to increasingly slide to the analogue rather than digital. I’ll be concerned when I start ogling cardigans. Agreed. Digital solutions are perfect in certain settings but wherever they involve a human interface, they seem cold and inhuman. For instance, I still find far greater pleasure (and ease) looking at a bank of Smiths or Veglia instruments than scrolling through a digital dash. Thank goodness for those cars and manufacturers that buck the trend and remember that cars are (for the time being) still driven by human beings.